The release of the OMazing lineup of instructors, speakers, and creators for this years' Prairie Love Festival means that ticket holders are now able to pre-register for their festival activity schedule. 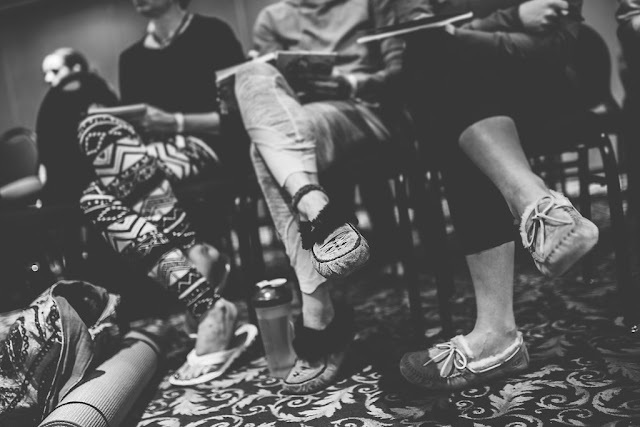 Creating your path for the weekend should be an exciting experience, where you get to decide what workshops resonate with where you're at in this point of your practice. Here are answers to the questions we receive most to help make this process as seamless as possible. 1 - How many activities can I sign up for? Your weekend pass (snowbird/earlybird/regularbird) allows you to pre-register to guarantee your space in a maximum 4 activities on each day (Saturday + Sunday). Passholders can attend as many workshops as you'd like throughout the weekend, pending space/availability in the workshop. The Sweetest Saturday pass allows you to pre-register for 4 workshops on Saturday September 10th. A Serene Sunday pass give your the ability to pre-register for 4 workshops on Sunday September 11th. All pass-holders enjoy unlimited music + community celebrations throughout the weekend. Your sched information will be the same as your Eventbrite & PayPal login. If you have forgotten your username/password, reset your password here. 3 - How do I pick my activities? With over 70 workshops & activities to pick from, it can be overwhelming to craft your weekend of bliss. Create your schedule based on workshop themes, instructors, and where you are currently at in your practice. Remember to create a sustainable schedule, 4 strong vinyasa practices in a day can cause exhaustion and burn out, which contradicts our intention of creating a wellness experience. • Give yourself breaks throughout the day to eat, rest, and soak in the benefits of your practice. 4- How long does it take to get from one venue to the next? • Prairie Yogi MainStage, The Balance Point, and OM sweet OM are all within a few steps of each other. • Lotus Lookout is a 10-15 minute walk south of the Big Sky Stage. • Bicycles are permitted/encouraged at Fort Whyte Alive and can be used as a speedy way for participants to travel from one venue to the next. 5- How Do I apply for a Vendor Booth / Table? 6 - How do I find out about partnership opportunities with Prairie Love Festival? Without our partners, this celebration wouldn't be possible. We partner with businesses whose values and community align with our own to make the partnership a success for both parties while elevating the experience of festival participants. 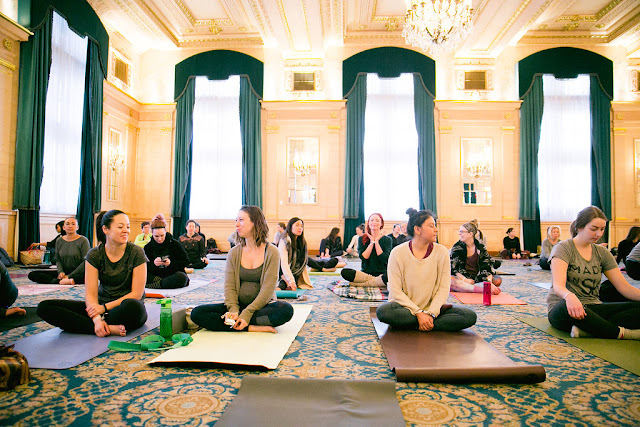 If your business wants to connect with the prairie yogi community through festival partnership opportunities, please email Laura@prairieyogi.com. 7 - When will volunteer opportunities be released? Opportunities with our amazing team of volunteers will be released in July. This exchange of energies will ask for 8 hours of volunteer service (2 x 4 hr shifts) to receive a complimentary pass for the weekend. 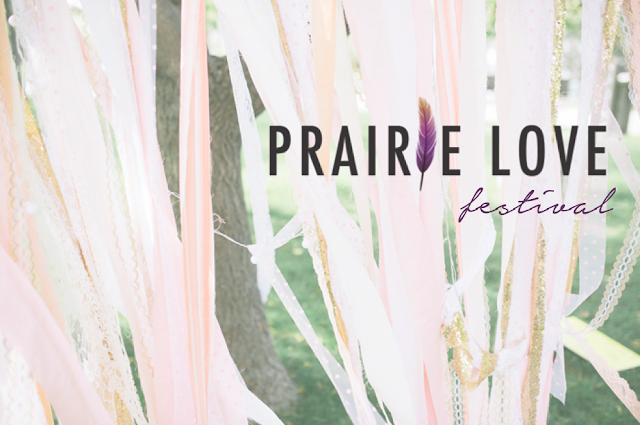 Stay tuned to Prairie Love Festival Facebook + Instagram accounts for more details. 8 - Can we camp at FortWhyte Alive? Unfortunately, There is no camping at FortWhyte Alive. 9 - I'm from outside of Winnipeg, where should I stay? The Paris of the Prairies has plenty of accommodations while you're here enjoying the festivities. 10 - I purchased tickets for me and someone else. How do we pick our individual schedules? When purchasing more than 1 ticket on Eventbrite, it is VERY IMPORTANT that you enter each attendees email address under each separate ticket in the registration process. One email address per attendee is required. This way each attendee will be sent their own login link to the scheduling app and be able to create their own schedule. If you have already purchased more than one ticket and registered your email address under both passes, please login to eventbrite and transfer over all tickets to the each attendees email address. If you continue to have technical difficulty email prairielovefestival@gmail.com. 11 - Something has happened, and I am no longer able to attend Prairie Love. Can I refund my ticket? Prairie Love Festival passes are not refundable. You can however, transfer your ticket free of charge to someone else. If you are unable to attend the festival, you can sell your ticket and transfer it to another through the Eventbrite transfer ticket option. The Prairie Love Festival Facebook event could be a great place to connect with people who are looking to purchase tickets. Thank you for being a part of this years' celebration of yoga, music and art in the land of big skies and big hearts. Please stay in touch - Prairie Love Festival is on Facebook, Twitter + Instagram. For any other inquiries, email prairieyogi@gmail.com.